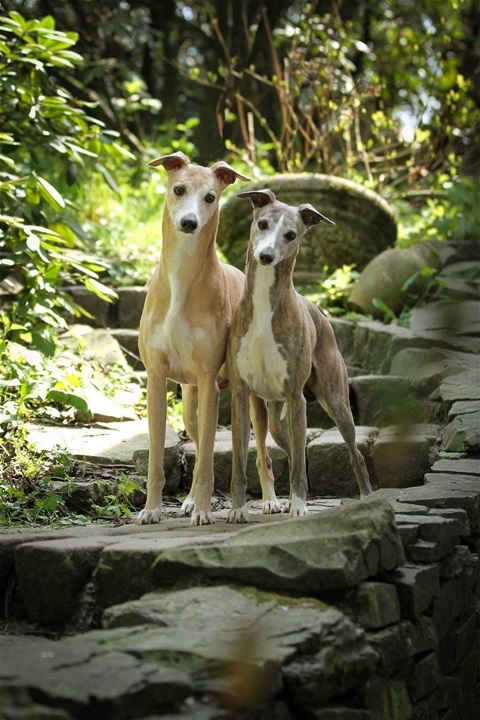 Ir Ger & Serb Ch Ailesbury fire Heart Jun Ch. 'Robby' is co owned and shown by Kennel 'Gentle Mind' Germany. We are very pleased to announce that 'Berta' is now an Irish Champion. Ger Ch Betterthanliquorice of Gentle Mind gained her Irish title in just under three months . We would like to thank all at Gentle Mind for allowing 'Berta' to spend the summer at Ailesbury. 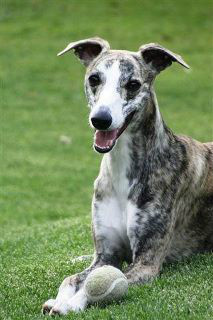 ’Berta’ has now returned home to her wonderfull home in Germany . Our latest home breed champion'Floyd'. Our latest home bred champion 'Floyd' Ailesbury Shadow Dancer . So proud of this young man. 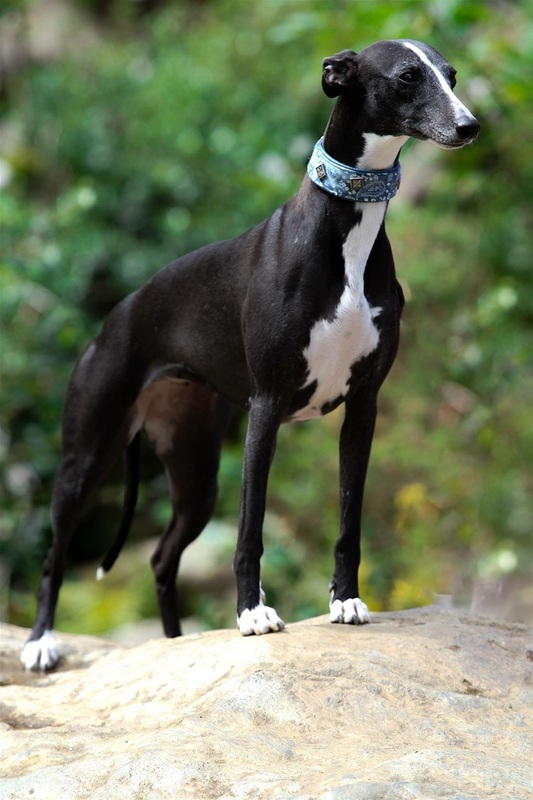 SA Ch Ailesbury Storm Rider at Cottoncove owned by Mr Bryan Kelly . ‘Ester’ Ir Ch Courthill Catch a Shadow at Ailesbury. CC and RBOB Crufts 2012. Qualified for UK Pup of the year . Multi Group and Best in Show Winner . 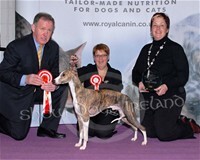 ‘Brad’ winning his first CC and BOB at Belfast aged 13 months . Judge Mr Jeff Horswell (UK) . 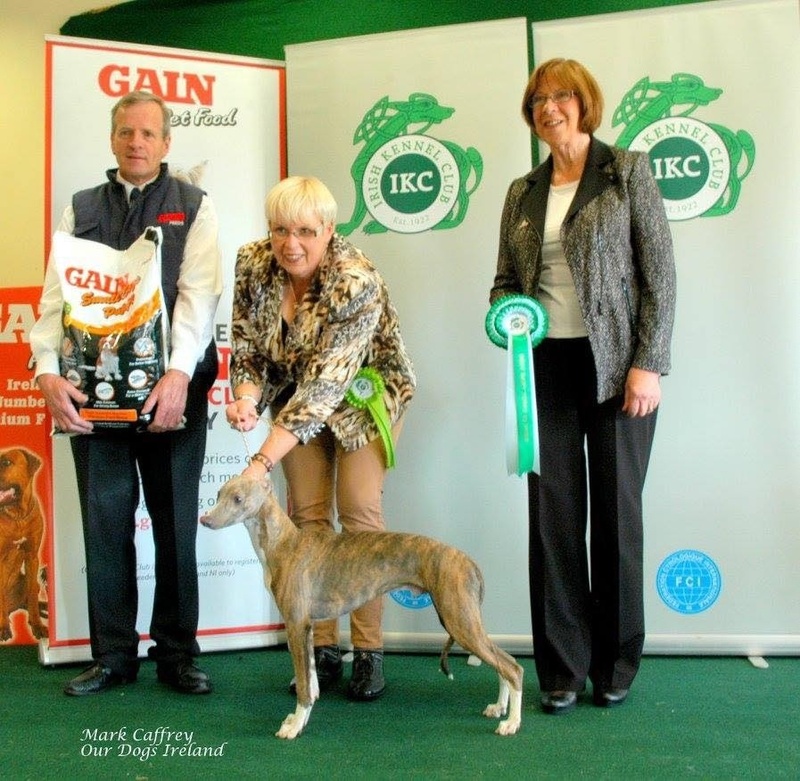 Ir Ch Collooney that’s the one at Ailesbury makes history by becoming the first ever Junior Champion of Champions!!! 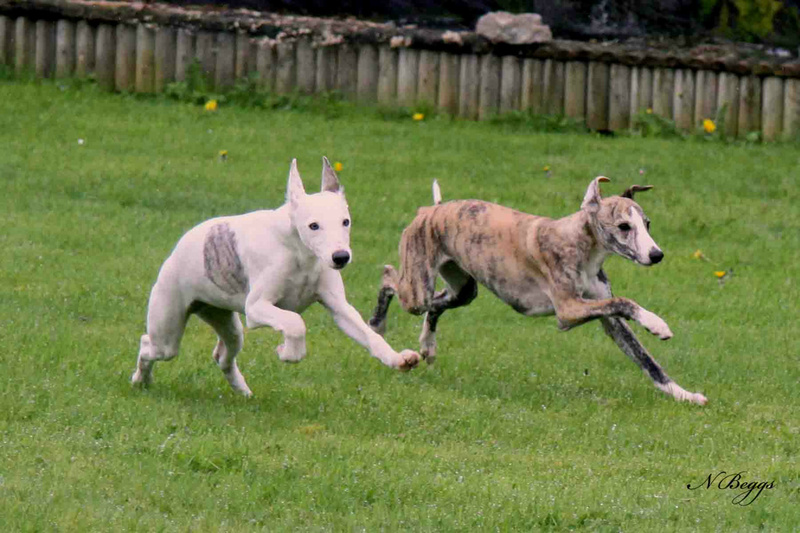 ’Brad’ Ir Uk Int Ch Collooney he’s the one . 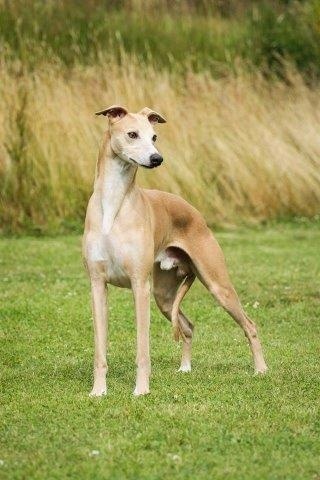 Irelands top Whippet for 9 consecutive years . Uk Top Stud Dog for ‘11 and ‘12. Ir Top Show Dog for ‘10. 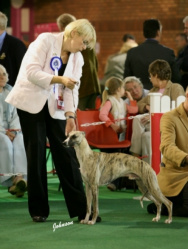 Runner up show dog of the year ‘07. 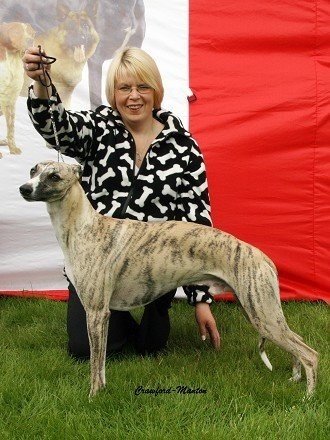 RCC winner at Crufts . 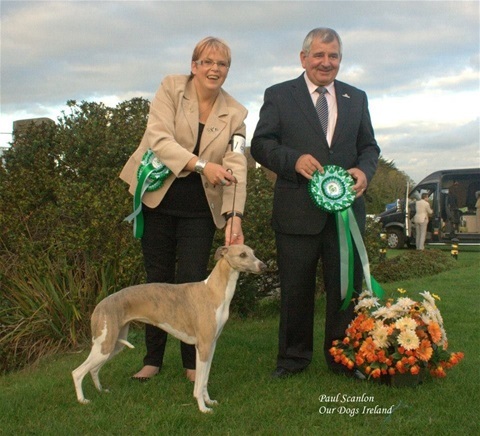 Winner of over 130 Green Stars , 8 All breeds best in show’s , 2 Club Best In Show’s and to many group wins to count !! 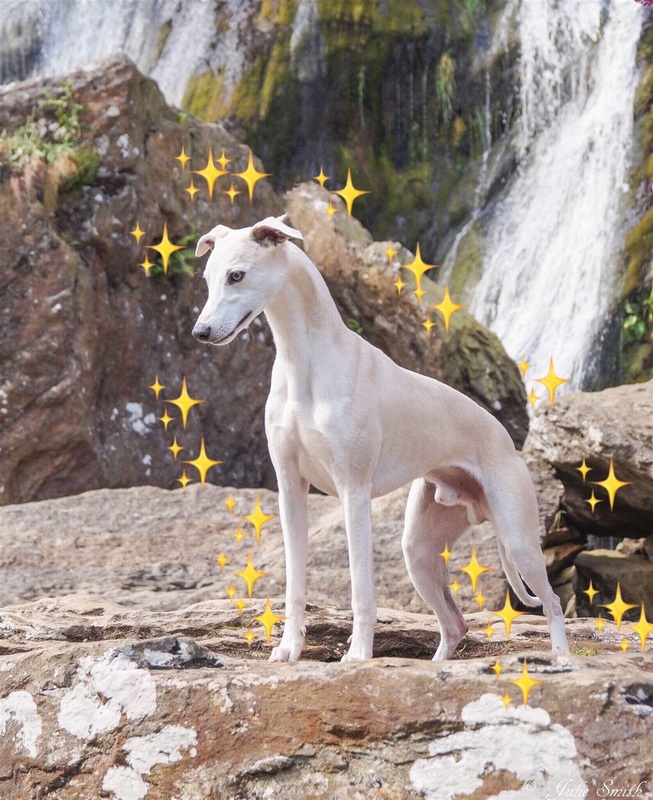 We are a small show kennel in the south of Ireland situated at the foot of the Sugarloaf mountain in Co. Wicklow breeding and showing quality Whippets , Borzoi’s and Skye Terriers . With three generations of experience with dogs and showing we are very proud of our many champions both home and abroad . My mum and myself both judge under licence to the IKC and the FCI . We have judged in many countries around the world. My mother has run a very successful boarding Kennel for many years and was also an excellent groomer showing both Poodles and Afghans in the past . 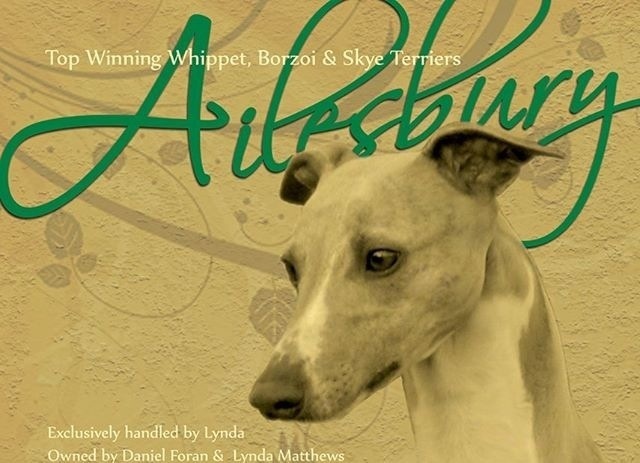 I myself have been showing and caring for dogs and horses all my life and am very proud of our achievements in and out of the show ring . Thank you for taking the time to look at our site and we hope you like what you see.